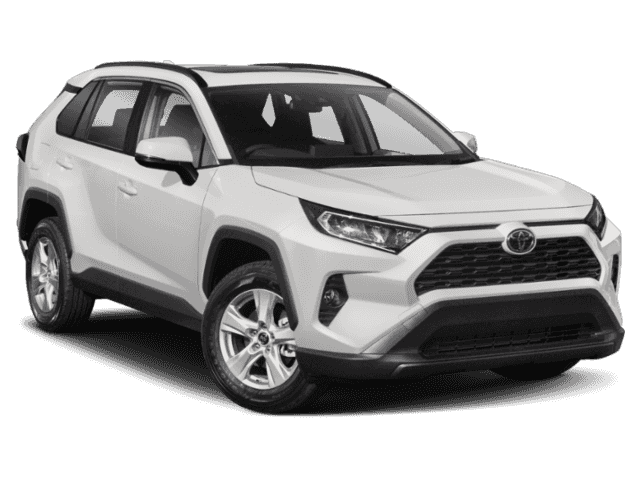 Full of personality, RAV4 sits wider and has an extended wheelbase that gives it an aggressive stance, while flared fenders and sharp creases add to its tough exterior. Modern two-tone paint schemes2 are also offered with a Black or Ice Edge-colored roof. 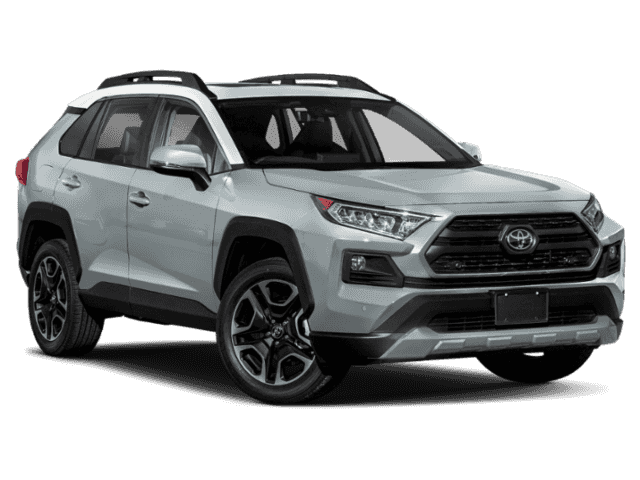 Inspired by Toyota’s off-road heritage, Adventure grade’s distinctive, rugged exterior features an aggressive grille, larger overfenders, unique Adventure roof rails and 19-inch five-spoke alloy wheels. 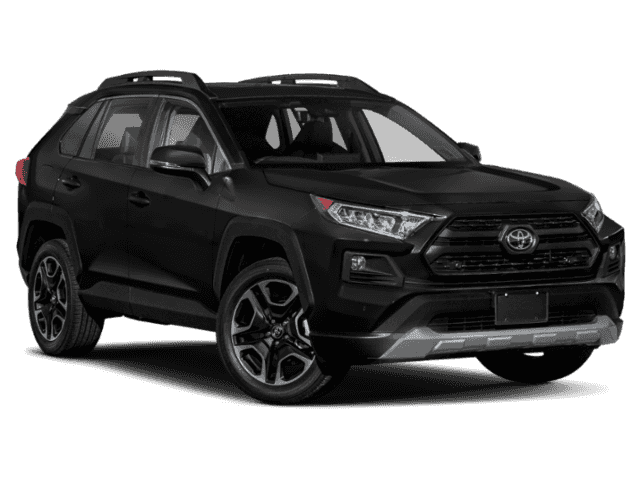 This tough look also echoes Toyota’s off-road past with an available Ice Edge-colored roof. Inside, orange accents are found throughout the interior and add the right amount of contrast to its sporty style. Good-looking from the ground up. RAV4’s wheels are designed to complement every model’s personality and style. From XLE’s 17-inch five-spoke silver alloy wheels to Limited’s available 19-inch multi-spoke super chrome-finished alloy wheels, you’ll look good wherever your trips take you. Leave a lasting impression. Underneath the rear bumper, the dual chrome exhaust tips show off a powerful look when seen from behind. A rear spoiler and modern LED tail lights deliver a distinctive appearance and finish off the design. Standard LED headlights with smoked trim and LED Daytime Running Lights (DRL) help you see what’s ahead. See and feel a new level of refinement that elevates the driving experience. An available panoramic glass roof opens up to an interior filled with premium materials and reveals the attention that goes into every detail. Available interior ambient lighting provides the right mood for any drive. Complementing Adventure grade’s rugged exterior are seats that feature a unique pattern with orange accents. Ready to impress, on- or off-road. Feel an elevated level of refinement every time you enter RAV4. Premium materials, like the available SofTex®3 seats and the comfort of an available 8-way power-adjustable driver’s seat with memory function, put you in the center of it all. The 7-inch color Multi-Information Display (MID) presents turn-by-turn directions, safety info, alerts and more, all at a glance so you can keep your eyes on the road. The Dynamic Force 2.5-liter inline four-cylinder engine produces 203 horsepower for great acceleration. Pairing it to the Direct Shift 8-speed Electronically Controlled Automatic Transmission shifts the power smoothly and efficiently, all the way to highway speeds. Three distinct drive modes let you tailor RAV4’s driving dynamics to match your mood. Sport Mode provides sharper acceleration, ECO Mode helps maximize fuel efficiency and Normal Mode blends fuel economy with performance. Enjoy a smooth ride that delivers driving confidence. RAV4’s multi-link rear suspension improves handling and control by working with its natural body rigidity in order to keep traction steady. RAV4’s Toyota New Global Architecture (TNGA) platform refines the drive wherever you take it. A longer, wider stance makes the handling more responsive, while a stronger core gives you a ride that is smooth and confident. The platform also creates a naturally spacious interior with a better view of the road. Instantly upgrade your connectivity and infotainment with RAV4’s new Entune™ 3.04 multimedia system. Wherever you go, you can always access the systems using the available 8-inch touch-screen. Connect your smartphone through standard Bluetooth®5 to make phone calls or stream music6. 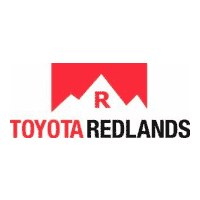 5 The Bluetooth® word mark and logos are registered marks owned by Bluetooth SIG, Inc., and any use of such marks by Toyota is under license. A compatible Bluetooth® -enabled phone must first be paired. Phone performance depends on software, coverage and carrier. 6 The Bluetooth® word mark and logos are registered marks owned by Bluetooth SIG, Inc., and any use of such marks by Toyota is under license. A compatible Bluetooth® -enabled phone must first be paired. Phone performance depends on software, coverage and carrier. Bring along a familiar face. 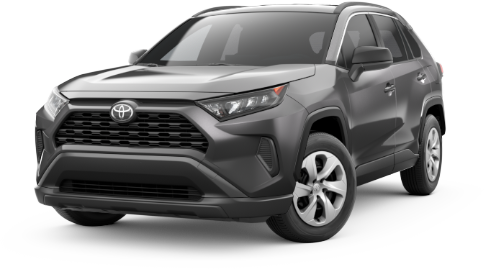 Now with Apple CarPlay®7 compatibility, you can use your compatible iPhone®8 with RAV4's audio multimedia system to get directions, make calls, send and receive messages, and listen to music while staying focused on your commute. 7 Apps and services subject to change at any time without notice. Data charges may apply. Apple CarPlay® functionality requires a compatible iPhone® tethered with an approved data cable into the USB media port. Apple CarPlay® is a registered mark of Apple Inc.
8 iPod®, iPhone®, and App Store are registered marks of Apple, Inc. All rights reserved. Get a clear view with a flip of a switch. RAV4 introduces Toyota’s first camera-based digital rearview mirror. The available feature uses a camera mounted up high inside the rear window for a wider field of vision—letting you see more of what’s behind you. Stay connected to fun. Plug your smartphone or mobile device into one of up to five USB ports9 to power up. You can also place your device on the available Qi-compatible wireless smartphone charging10 pad found conveniently in the tray below the climate controls. 10 Qi wireless charging may not be compatible with all mobile phones, MP3/WMA players and like models. When using the wireless charging system, avoid placing metal objects between the wireless charger and the mobile device when charging is active. Doing so may cause metal objects to become hot and could cause burns. No need to reach into your pocket or purse with RAV4’s available Smart Key System11. When RAV4 senses you are near, you can lock and unlock any of the doors, including the rear liftgate, just by putting your hand on the door handle. Once inside, just press the Push Button Start and you’re ready to go. An available Intelligent Clearance Sonar (ICS)12 audibly and visually warns you when it detects nearby pedestrians or vehicles. Under certain low-speed conditions, Rear Cross-Traffic Braking (RCTB)13 is designed to reduce engine power and, if necessary, apply the brakes. 12 Intelligent Clearance Sonar (ICS) is designed to assist drivers in avoiding potential collisions at speeds of 9 mph or less. Certain vehicle and environmental factors, including an object's shape and composition, may affect the ability of the ICS to detect it. Always look around outside the vehicle and use mirrors to confirm clearance. See Owner’s Manual for limitations and details. 13 Do not rely exclusively on the Rear Cross-Traffic Braking system. Always look over your shoulder and use your mirrors to confirm rear clearance. There are limitations to braking capability and the function, detection and range of the sensors. See Owner’s Manual for limitations and details. The available Blind Spot Monitor (BSM)14 warns you when a vehicle in the next lane enters RAV4’s blind spot on either side. When in Reverse, available Rear Cross-Traffic Alert (RCTA)15 helps detect vehicles approaching from either side, visibly with side mirror indicators and audibly with warning tone. 14 Do not rely exclusively on the Blind Spot Monitor. Always look over your shoulder and use your turn signal. There are limitations to the function, detection and range of the monitor. See Owner’s Manual for limitations and details. 15 Do not rely exclusively on the Rear Cross-Traffic Alert system. Always look over your shoulder and use your mirrors to confirm rear clearance. There are limitations to the function, detection and range of the system. See Owner’s Manual for limitations and details. 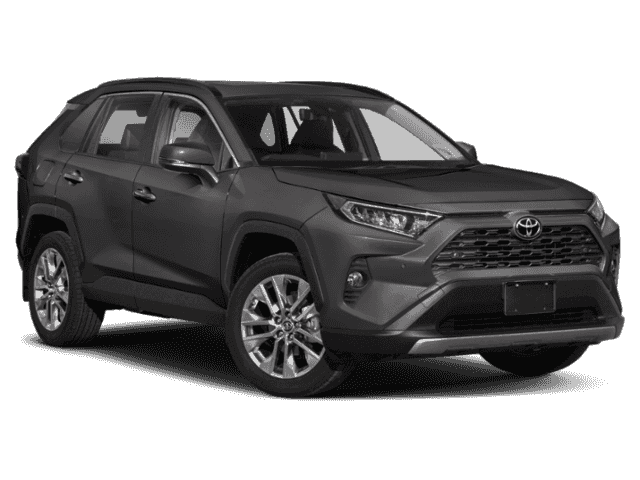 RAV4 comes standard with a driver and front passenger Advanced Airbag System16, driver and front passenger seat-mounted side airbags, driver knee airbag, front passenger seat-cushion airbag, in addition to front and rear side curtain airbags. Eight airbags total -- all focused on your safety. 16 All the airbag systems are Supplemental Restraint Systems. All airbags (if installed) are designed to inflate only under certain conditions and in certain types of severe collisions. To decrease the risk of injury from an inflating airbag, always wear seatbelts and sit upright in the middle of the seat as far back as possible. Do not put objects in front of an airbag or around the seatback. Do not use a rearward-facing child seat in any front passenger seat. See Owner’s Manual for limitations and details. Smart tech helps keep you safe. This standard comprehensive suite of six advanced safety features is designed to help keep you out of harm’s way. The system includes enhanced Vehicle Stability Control (VSC)17, Traction Control (TRAC), Anti-lock Brake System (ABS), Electronic Brake-force Distribution (EBD), Brake Assist (BA)18, and Smart Stop Technology® (SST)19. 17 Vehicle Stability Control is an electronic system designed to help the driver maintain vehicle control under adverse conditions. It is not a substitute for safe and attentive driving practices. Factors including speed, road conditions, weather and driver steering input can all affect whether VSC will be effective in preventing a loss of control. See Owner’s Manual for limitations and details. 18 Brake Assist is designed to help the driver take full advantage of the benefits of ABS. It is not a substitute for safe driving practices. Braking effectiveness also depends on proper vehicle maintenance, and tire and road conditions. See Owner’s Manual for limitations and details. 19 Smart Stop Technology® operates only in the event of certain contemporaneous brake and accelerator pedal applications. When engaged, the system will reduce power to help the brakes bring the vehicle to a stop. Factors including speed, road conditions and driver input can all impact stopping distance. Smart Stop Technology® is not a substitute for safe and attentive driving and does not guarantee instant stopping. See Owner’s Manual for details.